Is there anyone in the world who doesn’t love easy creamy alfredo? I don’t think there is, especially alfredo that is good for you! 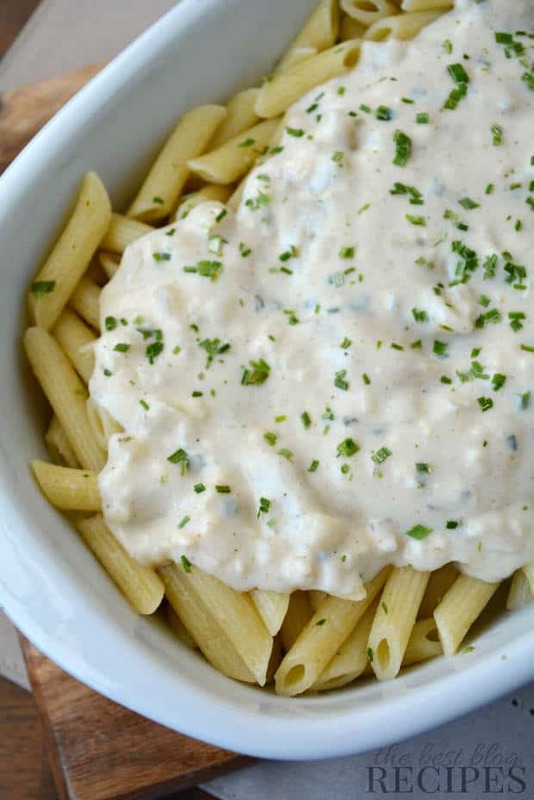 You need this Skinny Laughing Cow Alfredo Sauce in your life! 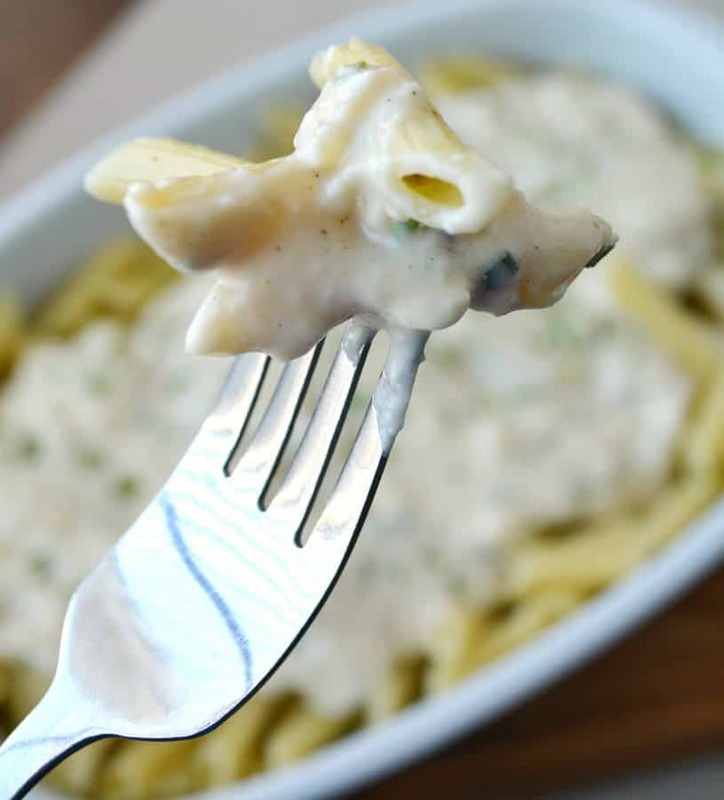 The next time you are craving pasta, you need to pair it with this amazing creamy twist on a classic alfredo sauce recipe. This pasta sauce recipe has the best, most perfect, flavor and you are going to completely love it. It is one of those recipes that will become a new favorite! It’s hard to decide what the best part of this recipe is. The flavor or the fact that it is of the skinny variety. I don’t know about you but when I am trying to lose weight, I am always craving pasta. This is a pasta sauce recipe that I don’t need to feel bad about! To me, there is nothing better than a delicious recipe that will help me to be as healthy as possible! I hate that being healthy is always tied to flavorless and bland food. Well, not anymore. 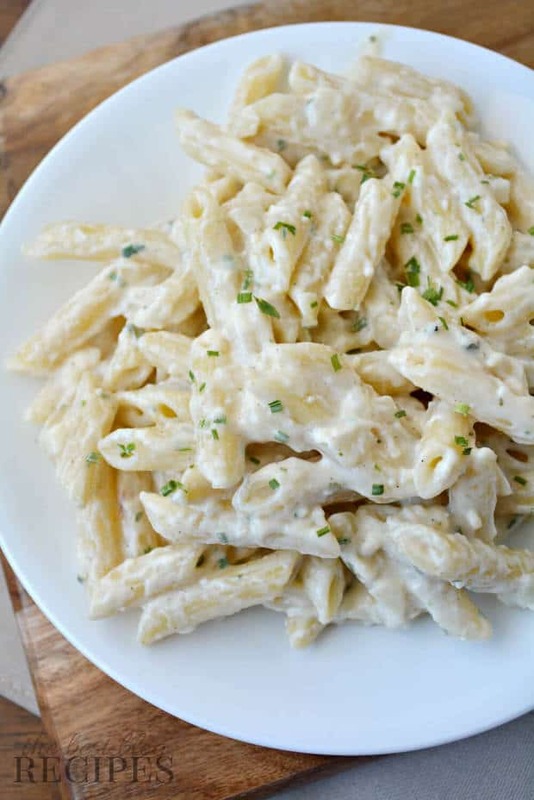 This skinny alfredo recipe does not taste like it is healthy, but you can be sure that it is. In my opinion, that is the best type of healthy recipe. The ones that taste like you are having a cheat day. Seriously, you will not be able to get enough of this recipe. I have made this recipe for an easy lunch for myself, and for a perfect alfredo dinner for my family. Needless to say, my kids and husband completely devoured this alfredo recipe. There were no leftovers after that dinner. 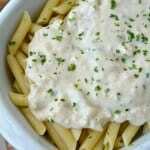 They couldn’t stop raving about how creamy and flavorful this alfredo sauce was. Another great thing about this recipe is that is so simple and easy to make. It takes about twenty minutes from start to finish, but if you serve it up to people, they will think that it took you way longer. Absolutely no flavor is sacrificed in the extremely short prep time. I love recipes that take just minutes to throw together, but taste like I slaved away over it. This alfredo recipe is really the best of the best. 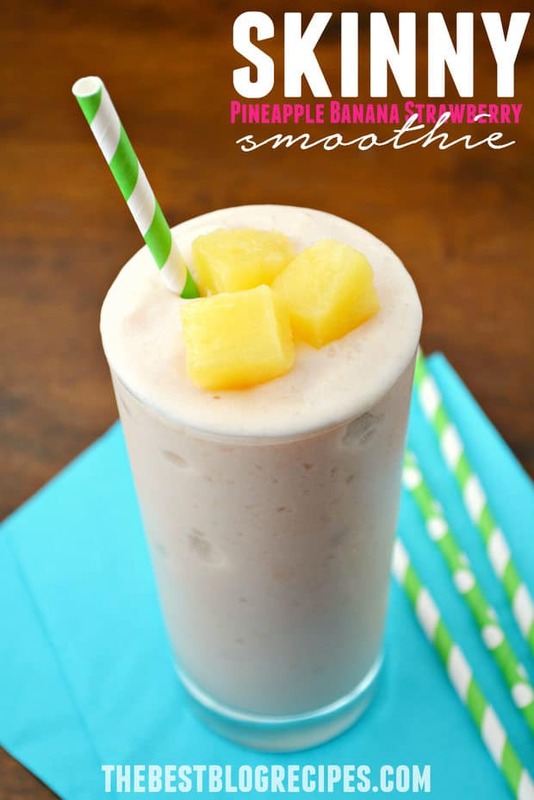 Simple to make and amazing creamy flavor… What more could we ask for? The Laughing Cow cheese in this alfredo sauce is what will have you completely obsessed. I love any kind of cheese, but in this recipe especially, it is the winning ingredient. When I was younger I used to eat laughing cow cheese by the wedge because i loved it so much. 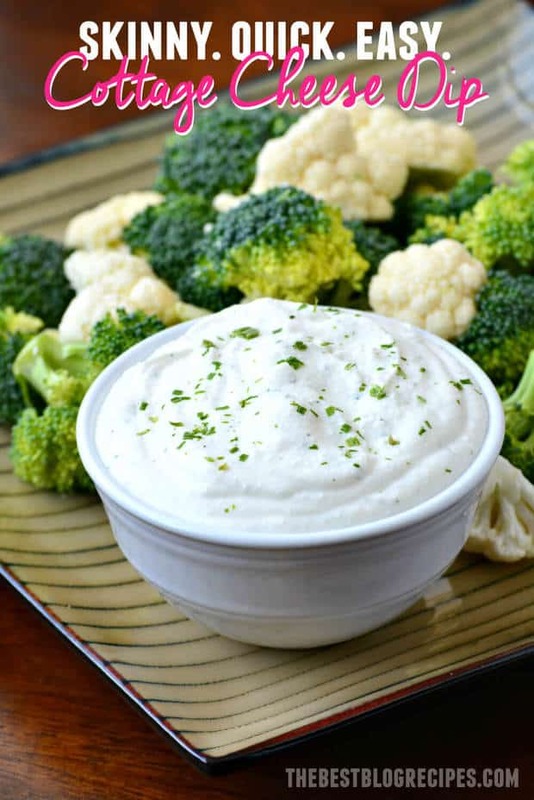 The creamy cheesy flavor of laughing cow cheese adds the most incredibly flavor and texture to this skinny alfredo sauce. In my opinion, the creamier the better, so bring on the laughing cow cheese! Pour your milk and stir well. Make sure to use fat free milk. Let your mixture cook for about 15 minutes and use fork or spoon to make sure that your cheese is breaking up while cooking. The laughing cow cheese seriously adds the best and most delicious texture to this alfredo sauce. You will not be disappointed! Add your chives and serve over pasta of your choice. 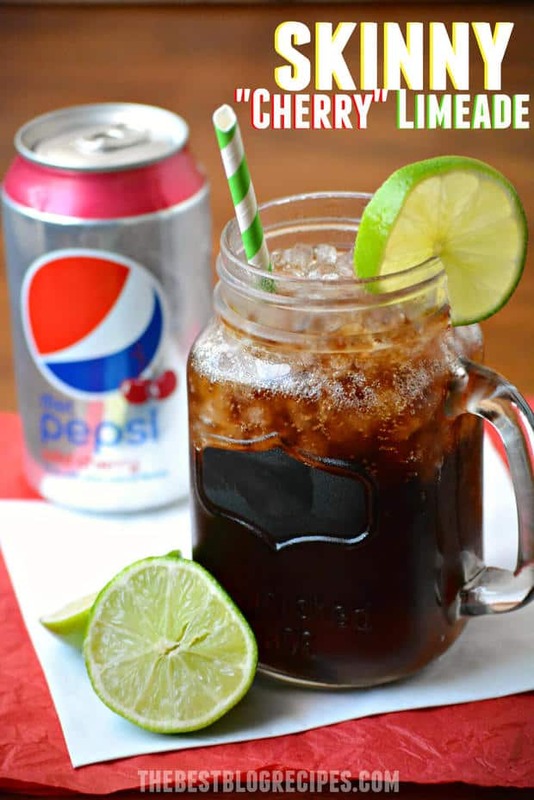 You will be completely in love with this recipe. How could you not? Alfredo is a classically delicious dinner, and you will have no choice but to love this healthy skinny version! Just wondering, does anyone know the calories in this? It looks delicious! According to my fitness pal (and I followed the recipe with the exception of using fat free evaporated milk instead of regular fat free milk and I added 2 chicken breasts cut up) 1 serving is 376 calories. 12.4 g fat, 22.4 grams of carbs (not including pasta) and 35 grams of protein. This looks amazing! I can’t wait to have a girls night with my mom chowing down on this while quoting Ever After from beginning to end. I bet the garlic herb would do well in a creamy tomato sauce version. What a terrific use for Laughing Cow cheese. It’s so cream and comes in so many flavors. I could see using their blue cheese version in this with leftover chopped chicken. 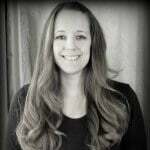 That’s a great idea Kristi! I bet that would be delicious too! I loved it! I added 2 oz of uncooked protein plus elbows, 1 cup broccoli, and 8 oz of grilled chicken. I also used 2 spicy laughing cow wedges and 4 regular wedges. My husband and I loved it. The sauce made 1 1/2 cups so I used about a half cup on mine. It was very good and so filling!